Should I incentivise estate agent with higher commission if they get asking price or above? Q: Should I negotiate higher commission fee for estate agent if he can get asking price or above for me? Do I need to get it written in the contract? An agent has an obligation to ensure that you achieve the best price. But whilst you’d think that a percentage based commission means that it’s baked in that they’ll try their utmost to make that happen, the reality is that some agents simply want to conclude a sale at any cost and move on to the next big commission. After all, gaining £5,000 or so is only likely to add £50 to their commission and therefore less considerate agents will write that off if it means bagging a second deal somewhere else too rather than risk a colleague pinching it. So, incentivising with a higher commission might not help, in reality. But you could suggest it together with a meaningful REDUCTION in fee if they achieve, say, less than 97% of what they value your home at. The easiest win here is to check out the review websites and to ascertain what other sellers say about particular agents. That’s more valuable an approach in my opinion. 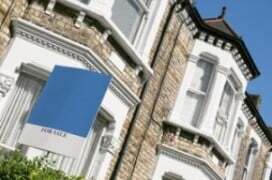 If I switch estate agents will I have to pay commission to my old one? Struggling with the mortgage and in negative equity. Can I sell? Should I disclose noise problems when selling my flat? Can I persuade my estate agent to accept reduced commission? I’m selling my house without building regulations for the kitchen extension. What can I do? Do I have to pay Capital Gains Tax if I sell the property I own with my ex-girlfriend? Does having planning permission exclude you from extending under permitted development? My estate agent is claiming full commission for an aborted sale. How I can dispute this? I want to sell some of my garden to a neighbour. How do I set the price? I’m unsure of what price to sell my home for. Are there typical price bands in which people search for homes? Do I have to reduce my asking price by 2% to get my re-listed house the top spot on Rightmove?